Yoga is connection—the connection to the deepest parts of ourselves, to each other, and to the natural world. Through poses and meditation, yoga cultivates a state of inner listening that allows us to experience the truth of who we really are. It is from this center then that we dare to go out into the world and put into action what comes to us through our intuition. As we grow into stronger, more flexible bodies—our minds and hearts follow in that same openness and breath, allowing us to be be a true force of nature in the world. Private sessions with Diana will elevate your practice, increase mindfulness, and expand your soul. The trail allows the space to practice appreciation not only for the magniﬁcent beauty of the surrounding nature but also appreciation for the strength and power of these amazing bodies that we inhabit. We have the opportunity to reﬂect upon our own lives in quiet silent morning hike as well as in conversation with fellow hikers in the afternoon. The opportunity is presented to reﬂect upon, tweak and create our own course we are currently on back home in all realms of life. Diana challenges people to meet not only their physical edges but also to expand the their capacity emotionally and spiritually though readings and questions, the practice of yoga and the trekking. "The trip for me was a life long dream come true. 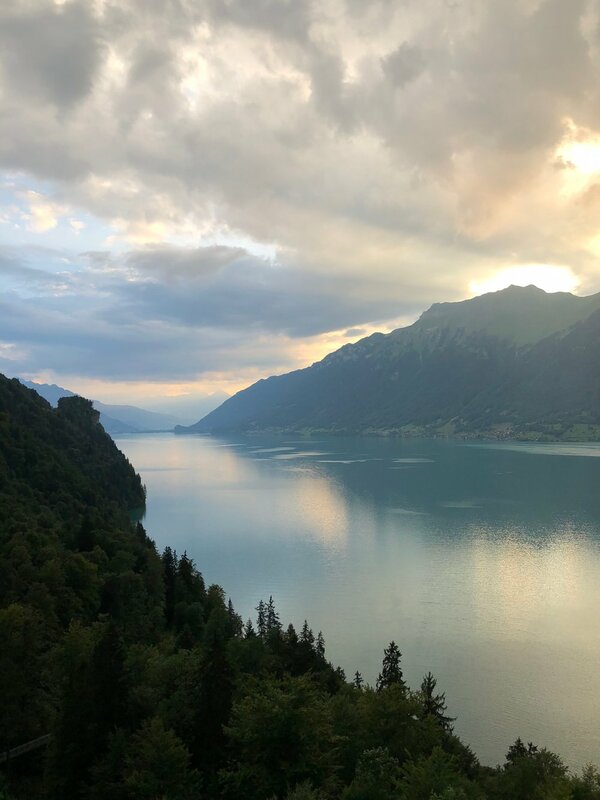 The only way to see the most beautiful sights in Switzerland is to hike up to them. Some of the most beautiful scenery I have ever seen. The trip was thoroughly planned and organized and Diana is amazing! What is the most difficult for me to explain are the emotions I experienced on this trip - simply life changing for me!"